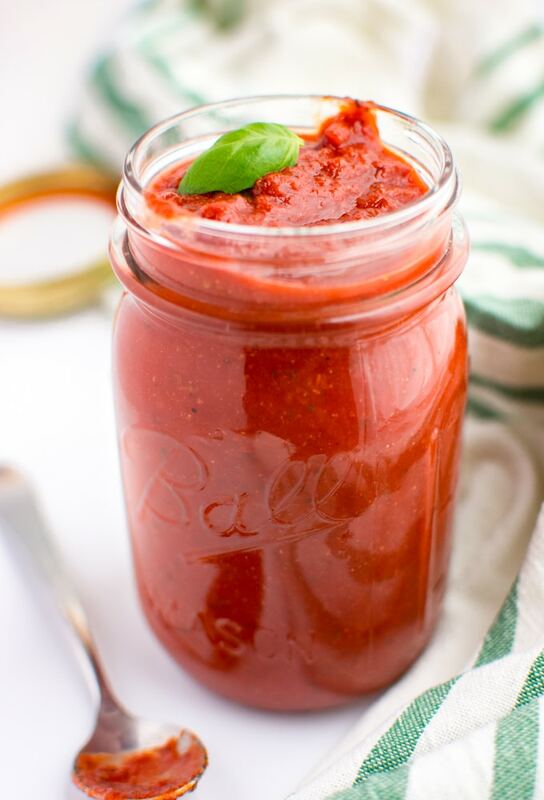 Homemade marinara sauce is great as a dip, pizza sauce or served over your favorite pasta. 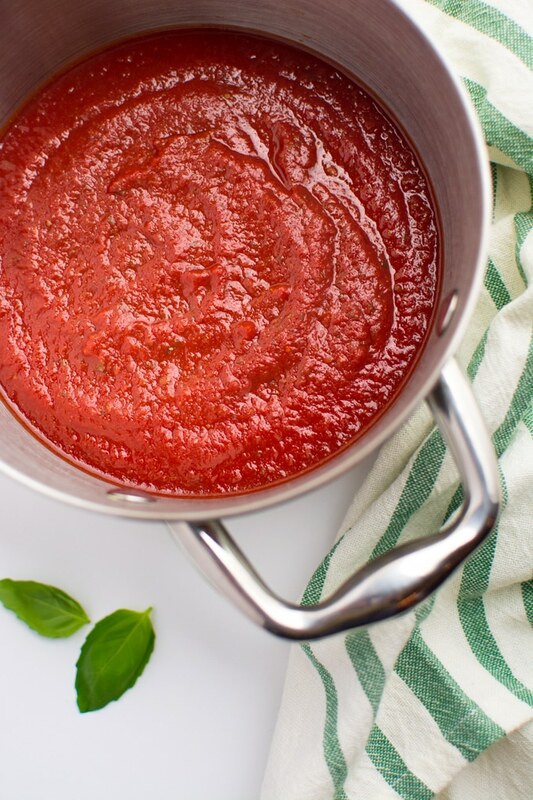 This easy, tomato-based sauce is oil-free and only requires 2 main ingredients! 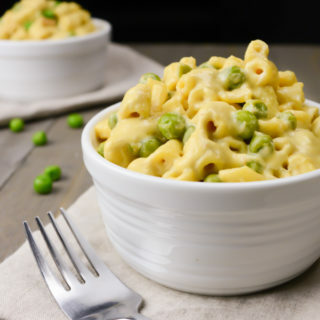 It’s so simple it can be simmering on the stove in less than 5 minutes. 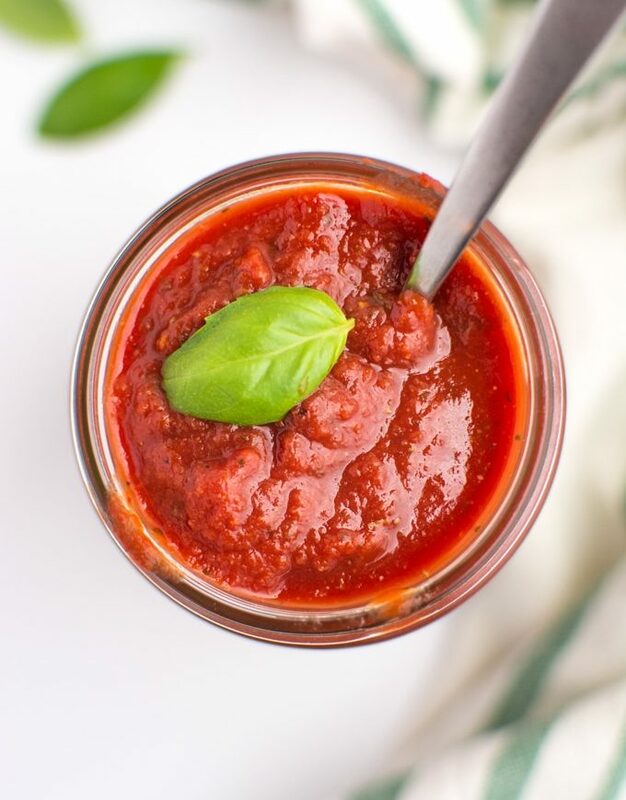 Homemade marinara sauce is better than any jarred store brand. With a homemade sauce, you can adjust the seasonings to your liking. If you like a spicy marinara add extra pepper for a kick. For a garlic marinara, sauté a few garlic cloves before adding the tomato sauce and seasonings to the pot. Or add fresh herbs for an Italian-herb marinara sauce. Serve it over breaded eggplant for an eggplant parmesan. It’s made with 2 main ingredients––tomato sauce and tomato paste. 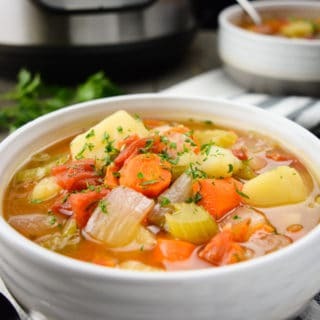 Mix them together in a saucepan with a few seasonings and simmer on low for 30-45 minutes. 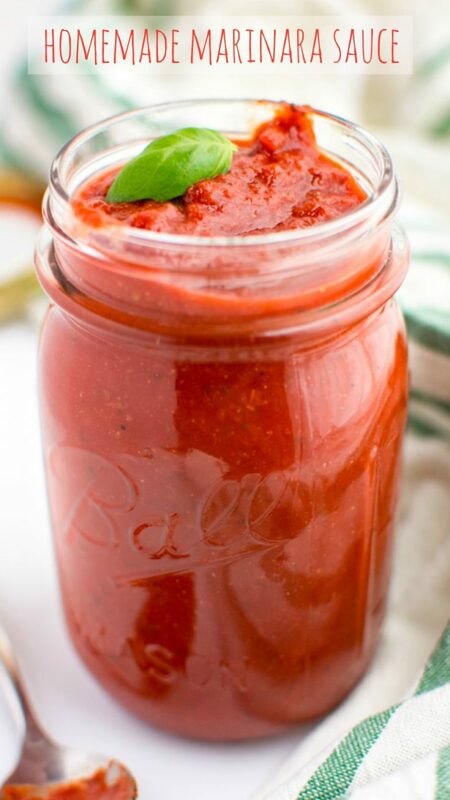 Transfer to a jar or serving dish and enjoy! How can I use this marinara sauce? Pizza sauce and add some crushed fennel seed. Simmer it down to a thicker sauce. 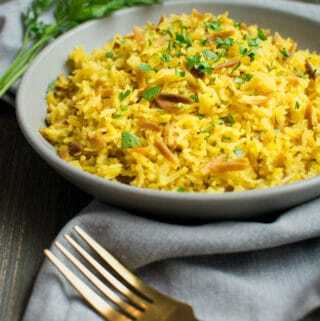 Spread it on your favorite pizza crust, naan bread or use it to make a French bread pizza. Dipping sauce for pretzel bites, zucchini fries, vegan cheese sticks or pizza pockets. Pasta sauce and mix in cooked lentils, sautéed mushrooms, and/or onions. 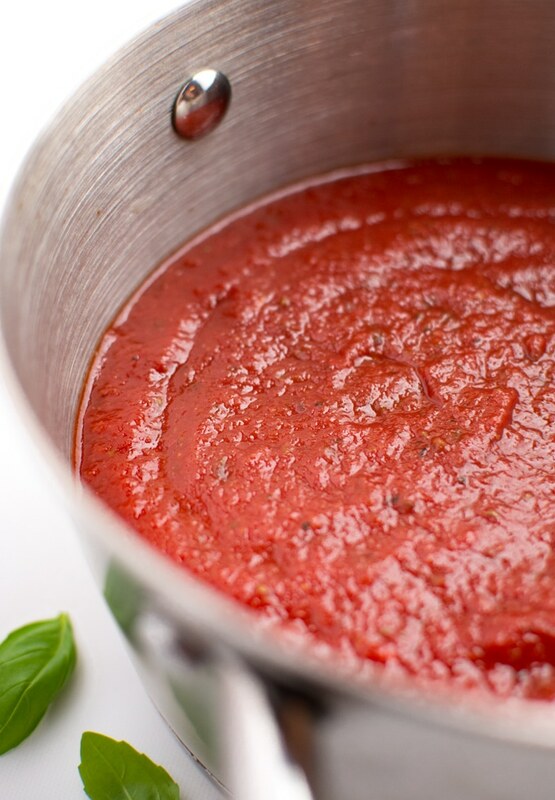 To create a thicker marinara for dipping and pizzas, simmer it down longer. For a thinner pasta sauce, double the water and simmer to desired consistency. 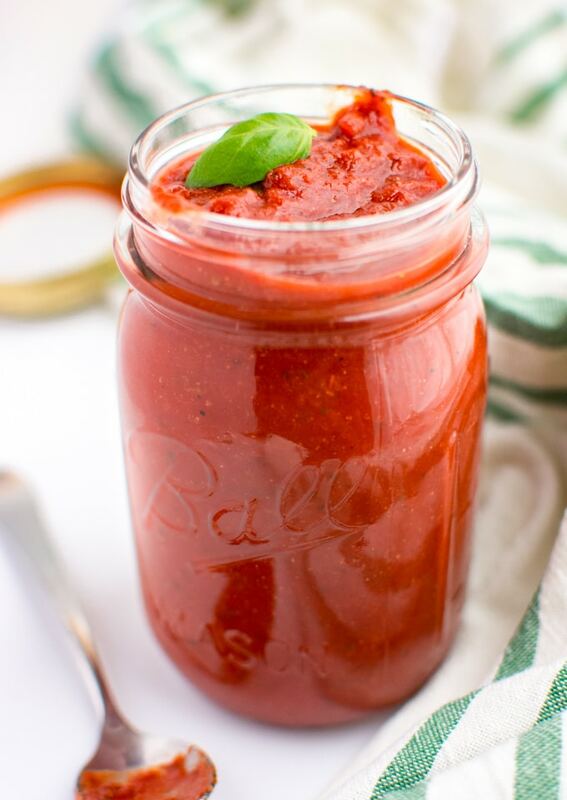 The acidity in canned tomatoes varies, adjust the sweetener accordingly. Marinara will last sealed in the fridge for 5-7 days. 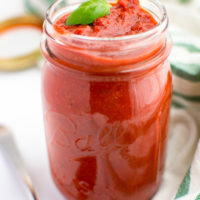 Can I freeze this marinara sauce? The answer is YES! It will last sealed in the freezer for up to 6 months. Just defrost and use as needed. Bring to a low simmer then cover. Simmer on low for 30-45 minutes to desired thickness. Stir the marinara often. Serve: over pasta, as a pizza sauce, or as a dip. The sugar neutralizes the acid in the tomatoes, adjust as needed. Adding crushed fennel seeds turns this recipe into a delicious pizza sauce.